All of our belts are made to order to your exact size. For the correct fit please measure a belt that you use starting at the point where the leather wraps around the buckle to the hole you use most often. This will then be the middle hole on your new belt. Our belts have seven holes, three up and three down from the centre hole, each spaced one inch apart. 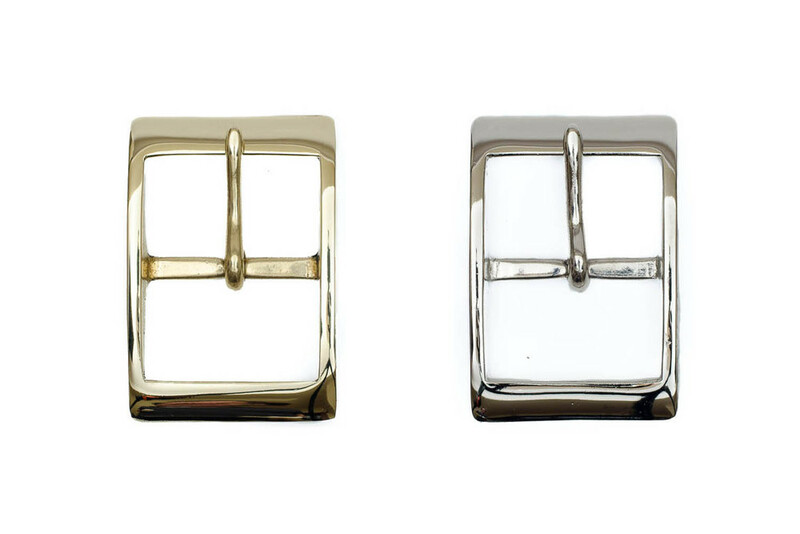 All of our buckles are cast in solid brass in the last remaining buckle foundry in the UK. We also offer them with a nickel plated finish. Or for something special we can arrange for them to be plated with silver, gold or rhodium, please contact us to discuss your requirements. They are available in sizes from 1" up to 1 1/2" but if you are after something wider we can supply buckles up to 3" wide. If you have a buckle that you would like to use we would be delighted to make a belt to fit it.